Projects Abroad's Director of Conservation Stuart Timson will be spending this Christmas Day at the Taricaya Lodge in the Peruvian Rainforest. It is an exciting time this year as five spider monkeys will be released into the rainforest. Projects Abroad in collaboration with 'Jajax Mexico' (the Mexican Association for Mucopolysaccharidoses and rare diseases) have covered the cost of transport for Brayan Ocampo so he can continue receiving treatment for this rare disease. Projects Abroad were winners of the Digital Entrepreneur award for Best Community Project of the Year. Projects Abroad and eighteen other digital businesses in the UK had their entrepreneurial talents rewarded at a glittering awards ceremony held in Manchester on Wednesday, 1 December. New 'Madurai Messenger' website launched! Journalism volunteers in India now have full access to our new 'Madurai Messenger' website. Opportunities for photo journalism, video reporting and writing in other languages mark the three resounding changes. Projects Abroad volunteers went to help children in a remote village in Nepal last month. Six volunteers travelled to the village of Dukuchapp with 15 staff members of the NRH (Nutritional Rehabilitation Home) in the event sponsored by Projects Abroad. In the last couple of weeks hundreds of football shirts have been arriving at the Projects Abroad office. Both the Premiership's Arsenal and the more local Colden Common Youth Football Club have sent through a wide selection of shirts. Just volunteering was not enough for Deirdre Burnett. She visited Ghana for the second time in September 2010, this time to set up a juice bar in Cape Coast. The juice bar was made to be a 'volunteers' hub', a common meeting place for the volunteers to relax and catch up with others. Projects Abroad has worked with our sister charity the Reconstruction Project for the last five years. We have donated money to a vast range of different projects that we work with around the world. Teaching teachers in Peru, more volunteers vitally needed! Our Teaching Programme in Peru takes a different form in the school holiday period in January and February, when we run a scheme to improve the English of the local Peruvian teachers. More volunteers are needed to help with the 2011 course. Since Projects Abroad started in 1992 we have had over 28,000 volunteers travel with us around the globe. It is inevitable that there are a few stories to tell. Recently it came to light that a few Projects Abroad volunteers have done a bit more than sending a few postcards. 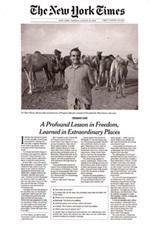 Projects Abroad has recently appeared in major US media outlets. Most notably, founder and Director Dr. Peter Slowe was featured in the August 24th edition of The New York Times as the subject of their "Frequent Flier" column. Last month the 1000th Peru Conservation volunteer arrived on the project. Conservation Director Stuart Timson tells us more: "All in all it has been a fantastically successful summer in Taricaya and we have achieved so much." Clearing – Exam Results Changed your Plans? August is always a time of uncertainty as students start to receive their results. Some find they have got better than expected others have not done as well. Decisions have to be made – whether to re-apply or accept an offer through clearing. Mircea Samoila the Projects Abroad Romania Director had a surprise delivery last week. As he was at his desk answering emails he was interrupted by a delivery man. Mircea was amazed to hear that the delivery weighed 385kg! What could it be? A surprise email was received by Projects Abroad asking to sponsor the flights of some volunteers joining the Water Sanitation Project in Arusha. For Madeleine Wright teaching schoolchildren health and safety skills in Ghana last year has changed her life. The 22-year-old university student taught at the Voice Preparatory School in Koforidua and quickly realised that health and safety was not a top priority. Check out one of the latest features from the Irish website; our Ghana scrapbook. Isobel Towse and Siun McFadden from Schull Community College, County Cork have kindly pieced this together after volunteering with us in Ghana as part of a group trip. Previous Projects Abroad volunteers, Jimmy Charrin and Hannah Lane were interviewed this week on BBC Devon's interactive lunch programme with David Fitzgerald. Jimmy previously volunteered on the Diving & Marine Conservation project in Thailand. Angela Pitt, 65 from Montacute, Somerset has recently volunteered with Projects Abroad on the Conservation Project in Peru. Before she started her project Angela was interviewed on the breakfast show of BBC Somerset to talk about her forthcoming trip. Have you thought of taking a gap year? A career break? The opportunity to experience and immerse yourself within another culture whilst working on a worthwhile project of your choice? Then join Projects Abroad's UK Director Ian Birbeck as he hosts a Webinar on Thursday 8th July between 7.00pm-8.00pm. Volunteers Join the Football Fever in South Africa! Cape Town, South Africa is infused with World Cup fever. You can feel it everywhere in the city, with national flags flying everywhere you look. People are dressed in bright Bafana Bafana jerseys and vuvuzelas are endlessly buzzing in the background. The volunteers delivered a comprehensive presentation on 'the effects, stigma and discrimination of HIV positive children'. The information and presentations from the workshop will be distributed to appropriate placements and businesses. Where Have all the Dugongs Gone? Projects Abroad is starting a new Marine Mammal Conservation volunteer project in Mozambique. The dugong has been hunted for thousands of years for the use of its meat and for oil. The dugong as a species is vulnerable to extinction and is now referred to as one of the rarest mammals on earth. There is nothing quite as revitalising after a hard day at work as kicking off your work shoes and putting on your dancing shoes! Our volunteers in Jamaica regularly have the chance to attend typical Jamaican reggae dance classes. Bem-Vindo, Chào Mừng! Projects Abroad is proud to announce two new destinations - Vietnam and Mozambique, taking our total up to 26. Mozambique will be taking volunteers from the late summer to get involved with Marine Mammal Conservation as well as Teaching and Care projects. Last year Projects Abroad was approached by the British Safety Council to see if we would like to work together on training youngsters around the world about safety. On April 16th they ran their second Projects Abroad gap safety course. Twenty nine Projects Abroad volunteers gathered at The British Safety Council Headquarters in Chiswick to learn more. 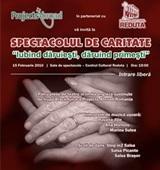 The Drama Project in Romania is a fantastic project to get involved in at any time throughout the year, however, volunteers who are in the country at the end of August will get to take part in the 12th annual T4T Theatre Festival, which brings together theatre groups from all over Europe. Director, Dr Peter Slowe hits the US airwaves! Projects Abroad Director, Dr Peter Slowe appeared in a radio interview in Philadelphia this week. Peter spoke to WNWR-AM's weekly show "Dining and Destinations" about Projects Abroad and the varied volunteer programmes we run overseas. Projects Abroad's Amazon Rainforest Conservation Project in Peru is to appear on Ross Kemp's "Battle for the Amazon" on Sky 1 next week. The programme is on at 10pm on Tuesday 20th and Wednesday 21st April. How about doing something worthwhile over the holidays? Our wide range of 2-Week Specials programmes are the perfect opportunity to experience a gap year taster either during a school holiday or in the summer before starting university. Last week I received an email from Graham Spencer from Colden Common Youth Football Club (www.ccyfc.co.uk) saying he had a number of shirts we could take out to some of our football projects overseas. Colden Common Youth team are based near Eastleigh, Southampton. In February 2010, almost one year on from my first visit to Koh Rong Samleom I returned to the island. Last year I visited to make final checks before our first volunteer arrived in March, this year I was greeted by 16 volunteers and I was arriving with three more! Each year in Peru during the long school holidays in January and February we run a teacher training programme for the local Peruvian English teachers. The scheme is very popular with the local teachers and we rely on the volunteers to keep running the course. The course on April 16th is available to all UK volunteers aged from 17-23 joining Teaching and Care placements overseas. The course takes place at the British Safety Council offices in Hammersmith, London. Monday night last week was a big night for Projects Abroad Romania volunteers as they held a drama charity event for the Vulcani Hospital, and presented the talent behind their very own drama programme Black Juice. Projects Abroad volunteers in Ghana are now working with the Future Leaders Underprivileged Children's Centre in Accra. This school now teaches more than 80 children, however, it started with just 5 children being taught in the shade of a mango tree. Medical volunteers in Nepal were able to attend a gynaecology medical camp for a day on the 16th January. The camp was organised and funded by Projects Abroad in association with Dholahiti Community Health Services Centre. Computers Landing in Cape Coast, Ghana! When you were a child, did you dream of super machines, huge space ships and other worlds? With increasing access to computers you can access these worlds just by pressing an 'enter' key. Happy New Year from all at Projects Abroad. One of the great things about Projects Abroad is seeing the contrasting ways that our destinations celebrate different events.